I don’t think I can properly say how much I enjoyed this book, but I will give it a try. Until I received this book from a friend, I had never heard of it or the author. This would be the first book that I had read that was set partially in India. I honestly wasn’t sure what to expect from this book. After reading the synopsis, I was intrigued but really didn’t know if I would like it or not. I sometimes find that books that are spread out over a large time frame just don’t appeal to me, or I find too slow and choppy for my liking, but that was not the case with this book. It did take me a little bit to get into the story, but once things got rolling I couldn’t put it down. The mix of characters, along with the cultural focus, really made this book the amazing story that it is. 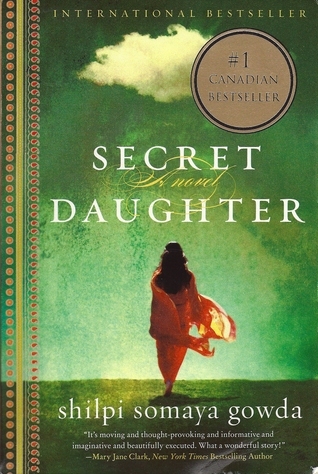 I persoanlly know very little about Indian culture, and I know this book only shows a small fraction of it, but I really enjoyed seeing how families live in various parts of the country, how large the divide is between the rich and the poor and how the struggles on both sides can be so similar and yet so different at the same time. I thought that watching Ashe adapt to life in India, the culture and her family there, was really a great part of the book. She may have been born there, but having been raised in the States, it was a new experience for her, much like it was for me reading about it. Having read this book, I will definitely be making an effort to read more by this author, as well as other books set in India so I can learn more about the culture and expand my reading even more. I would highly recommend this book. It was such a wonderful story, truly eye opened and emotional. This entry was posted in Books, Cultural, Fiction and tagged Book Review, Books, Cultural, Fiction. Bookmark the permalink.